Emergency services include in the initial treatment and acute care of patients who present a broad spectrum of illnesses and injuries, some of which may be life-threatening and require immediate attention. Most emergency departments operate 24 hours a day. Every year, the nation’s emergency rooms treat 117 million patients, and the average patient spends approximately three hours in the ER. Because patients can present at any time, without notice, and with any complaint, emergency services prioritize cases based on clinical need. Some of the most common critical conditions handled in emergency rooms include heart attack, cardiac arrest, trauma, asthma and COPD. Acute care facilities often operate under an integrated and comprehensive network to ensure that critically injured patients are seamlessly transferred to the appropriate facility by the most efficient means. 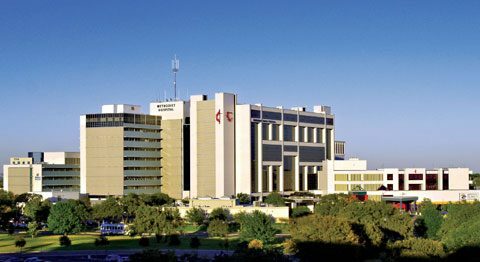 The Medical Center has the largest ER in San Antonio located in University Hospital, also home to the leading Level 1 Trauma Center in the South/Central Texas region. An average of 70,000 patients are treated each year. Emergency departments at the Medical Center are equipped and prepared to treat almost any kind of emergency situation. Cardiac arrests and major trauma are relatively common in emergency departments, so defibrillators, automatic ventilation and CPR machines are readily available. Emergency departments also have their own diagnostic equipment such as X-Rays, CT Scanners and ultrasounds to avoid waiting for equipment from elsewhere. Fast decisions in life-and-death cases are critical in hospital emergency rooms. Doctors at the Medical Center have the expertise, the resources and the support they need to assess and treat patients 24/7. 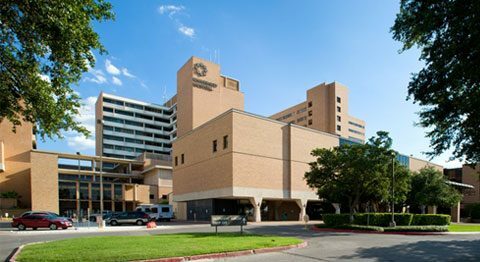 All emergency medicine physicians at the Medical Center are board certified and work across all departments and subspecialties to provide quality care to patients in need. Many of the institutions in the Medical Center specialize in Emergency Services. The hospitals listed below are not inclusive of all the institutions that provide this service.